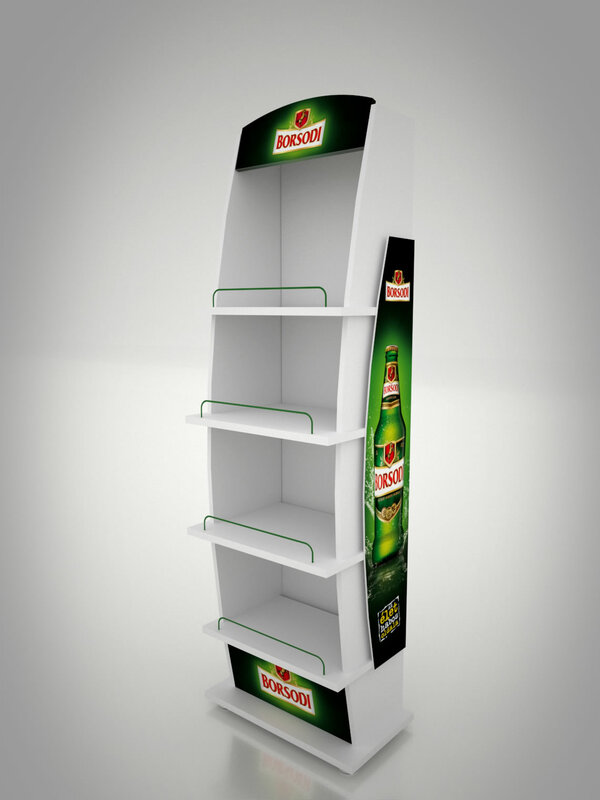 Design works of brand display for unusual shapes and sizes marketed by Borsodi Sörgyár. 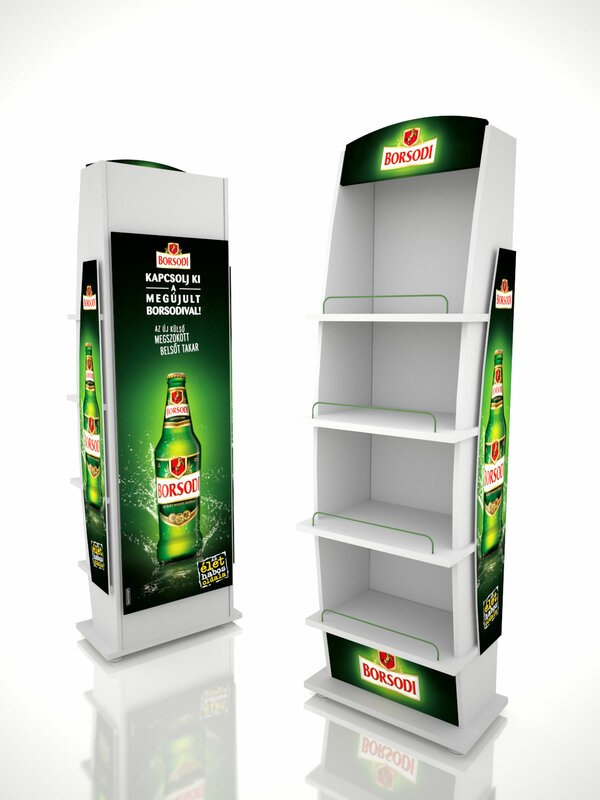 Each display has different characteristics by the brand applied. 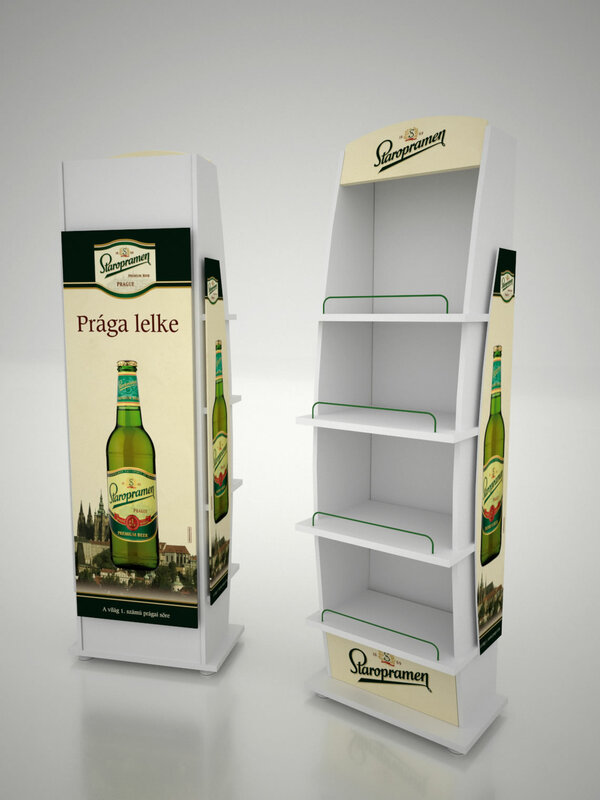 We could create visualization based on exact production plans and apply the specific brands for them (Borsodi, Borsodi Tüzes and Jeges shared visual, Staropramen) to make an eyecatching look and intent purchase. Slider designs for specials and discounts, promoting the new media channel, comperative information display for category pages. Slider graphic design, retouching and composition works for promotions of super warranty service, new product group, new showroom and brand-new e-commerce site. 135x135 canvas decoration design for Borsodi Sörgyár office interior. Exterior logo backlight designs for Borsodi, Borsodi Póló and Hoeagaarden Rosée. Crate pricesign design and prepress works based on strict production specifications for various brands. Placard and table-tents design for “Kapcsolj ki” promotion Borsodi Sörgyár. Sounds interesting? Don't hesitate to contact us! We are looking forward to exceed your expectations.